November is a big month for giving thanks and showing appreciation, but no one wants you to love them all the way to the poor house. In your November Money Horoscope, the stars warn to take heed and hold on tight when it comes to money. Happy-go-lucky Jupiter in lavish Libra will square with Pluto (the explosive surprise bringer) in practical Capricorn, giving you the “just in case” warning. Be conservative with funds. Use cash instead of your credit cards. Venus in Capricorn will help you make good financial choices. Want a detailed picture of your financial future? Get a money reading today! During the first week of November you may receive some startling but incorrect information or advice related to your personal finance. However, you have Venus and Uranus on your side, and they’re ready to turn it all around, clear up some misinformation and bring you news about money that might actually make you happy. Don’t get upset without seeking a second opinion. Circle November 8 on your calendar (not because of Election Day in the U.S.) because headstrong, take-charge Mars moves into your career house. From now through mid-December, you’ll be initiating some changes at work that will help streamline processes and possibly earn you a well-deserved raise. Money-loving Venus moves into practical Capricorn on the 11th which is also your eighth house of shared money. This means money you share with others, money you may have borrowed and/or taxes will make things a little tight. Avoid spending on the frivolous and fun in order to take care of financial obligations. Use that incredible intuition you have to guide your financial life in November, especially during the first week. If something sounds like a get-rich-quick scheme or you’re presented with an opportunity that sounds too good to be true, trust your intuition and just say no. Venus moves into your sixth house of earned money and reputation on the 11th. 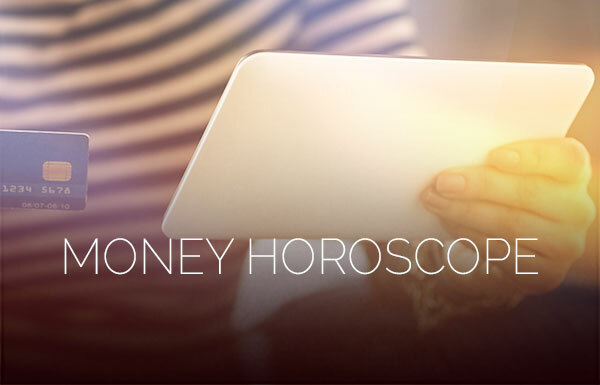 Your November Money Horoscope is giving you a chance to make some extra earnings which will give you not only peace of mind in meeting your obligations, but a chance to have a little fun-money. This may be a side job or a seasonal thing that just improves your financial position a little. Go for it. While you may be enjoying the financial benefits of Jupiter in your house of money, you should always be prepared in case of a last-minute money need. You may experience such a need around the 25th and/or 26th, so try to keep spending to necessities for this month and avoid impulsive spending. For your November Money Horoscope, let’s just call you “Lucky Libra,” since November 4 – 6 are sure to be great days for you not only in romance, but in finance as well. If someone owes you money or a raise is due to you, you’re likely to see it come through. If not, try your hand at a lottery ticket or two. Your ruling planet Venus is looking out for you. With Saturn still in your house of money, perhaps you need a little break. In your November Money Horoscope, look to November 3 when Venus and the Moon connect in that same house, Sagittarius, the fun lover. Some extra funds could suddenly become available that will allow you to have some fun—just don’t go overboard. The 23rd is a day you’ll likely make some financial progress. Venus in your first house until the 11th, and then moving into your money house after that will make November a good money month for you overall. Neptune and Uranus will also be of great help too. You may finally get a dream job or find yourself in a position to add more freedom to your day-to-day life; you’ll love having the chance to spread your wings and fly. You’ll experience luck as soon as the 3rd through the 5th. Your November Money Horoscope says to watch spending, especially after headstrong Mars enters impulsive Aquarius on the 8th, and your normally conservative side might be tempted to use plastic in lieu of cash. You may be tempted to buy more than you have on hand; yes, this can happen even to you, so beware. Look to the 4th of November and the surrounding days for a little unexpected but welcome infusion of cash into your life. It may be a lottery winning or a bonus you hadn’t anticipated, but likely it will be a one-time infusion. All money in any form is a welcome sight. With Venus in Sagittarius until the 11th, you may be tempted to use plastic to pay a bill and then forget about it—so easy does it on the spending. Take enough cash with you to allow for expenses, and lock the credit cards away in a strong box. After that, your November Money Horoscope looks fairly good, unless someone asks to borrow money near the end of the month. Get the loan in writing. Money’s financial how long I will have? my forecast is right on… as I feel like I got hit on the head by Mars.. talk about headstrong energy. Which date will l get help from someone and have financial breakthrough? Dear K.S. The answers to your questions are best answered by a gifted psychic. These are valid and important questions that deserve an accurate reading which you can best get by having a reading 1 on 1. Call and get your answers.